Vodafone and Hutchison’s mobile joint venture may combine with the A$7 bln TPG. Mergers of equals are hard enough without three parties, and the embattled broadband group looks like an unequal match. The benefits of less competition mean both sides have reason to hold their nose. A woman looks at her phone as she walks past an advertisement for Australia's TPG Telecom Ltd in central Sydney, Australia, April 12, 2017. 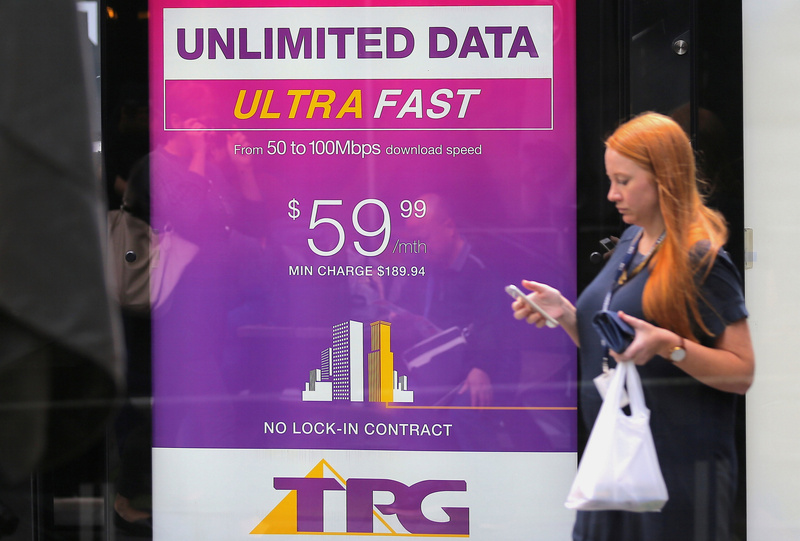 Australia’s TPG Telecom on Aug. 22 said it is discussing a potential merger of equals with Vodafone Hutchison Australia, a 50-50 joint venture between the British group and Hutchison Telecommunications (Australia). Shares in TPG were up 22 percent to A$7.65 when markets closed. Hutchison Telecommunications (Australia), the thinly-traded company which owns half of Vodafone Hutchison Australia, was up 52 percent to just over A$0.09.